In the current monetary system, we have unequal distribution of money- the starting point is inequality – so we define ourselves as to how much money and how much assets we have. We work hard to keep the money coming – but within this is the fear of losing money. In capitalism, communism and socialism- in all of these isms the starting point is inequality- government is still in control. The people are seemingly equal- but not really. There seems to be a choice but it’s an illusion of choice – not real choice. 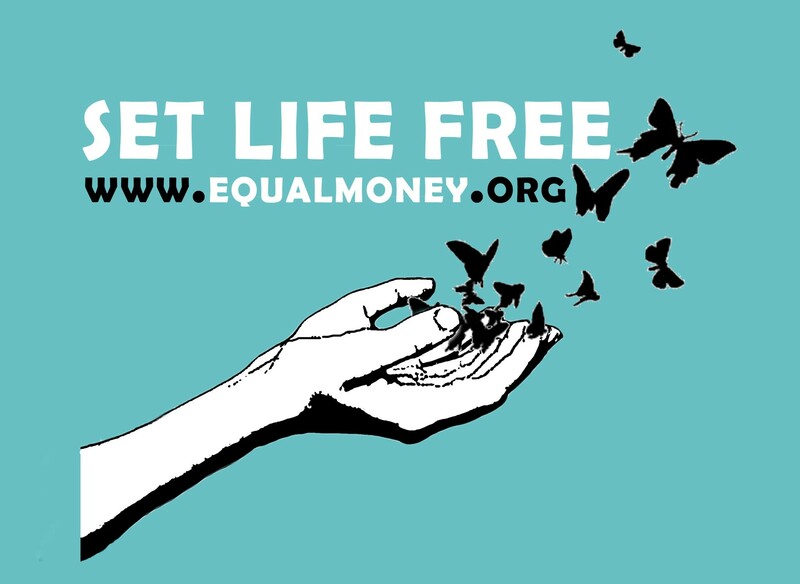 I am assisting in the establishment of the equal money system where everyone will be given equal amounts of money from birth to death- so everyone will get the basic necessities to survive in dignity – have equal power so no one will take advantage of each other and equal rights.